MAIN RESPONSIBILITY: to execute profitable production activities, as assigned by the Production Manager, that support the goals of the company. Insure company and customer satisfaction through professional appearance, expert workmanship and polite communication. Attend all company/client meetings approved by the Production Manager. Create an anticipated project schedule (critical path) in advance of project commencement, adjust schedule as needed based on production realities. Advise subcontractors of proposed schedule. Verify and confirm material lead times and purchase orders as needed to maintain efficient schedule. Supervise the activities of the company’s field carpenters and/or independent subcontractors, which include oral and written communication as needed. Responsible for tracking the progress and profitability of the projects under his or her supervision and reporting to the Production Manager. Assist in the company’s marketing program as directed by management, which may include: canvassing, home shows, job site marketing, customer satisfaction, etc. Maintain an on hand supply of and properly complete company lead sheets for all field and office inquiries from potential prospects and submit completed sheets to the Office Manager. Attend seminars and shows to obtain new product knowledge and new installation procedures. 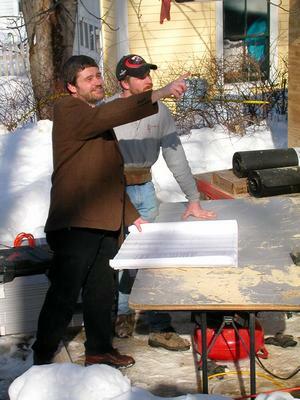 Achieve NARI Certified Lead Carpenter Designation. Maintain NARI Certified Lead Carpenter Designation.